Wine of Slovenia. Dry white wine handpicked in 2016. Mundus Vini Gold - 20th Grand International Wine Award Meininger 2017. In the hills of Jeruzalem in Eatern Slovenia the climate is ideal and the terraced vineyards are unique. In our family owned winery all grapes are still handpicked to create this fruity, lively wine with aromas of passion fruit, citrus and red apple. 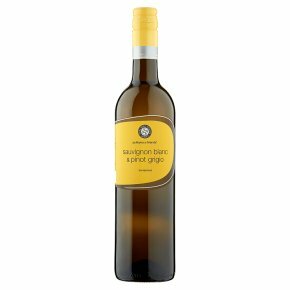 Goes very well with meat dishes, salads and especially asparagus.